Raiders of the Lost Ark is a 1981 American action adventure film directed by Steven Spielberg, with a screenplay written by Lawrence Kasdan, from a story by George Lucas and Philip Kaufman. It was produced by Frank Marshall for Lucasfilm Ltd., with Lucas and Howard Kazanjian as executive producers. Starring Harrison Ford, it was the first installment in the Indiana Jones film franchise to be released, though it is the second in internal chronological order. 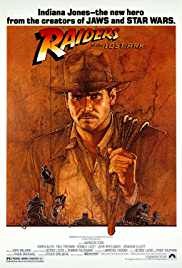 It pits Indiana Jones (Ford) against a group of Nazis who are searching for the Ark of the Covenant, which Adolf Hitler believes will make his army invincible.